This column will explain and describe a couple of workforce development/labor exchange program opportunities that apply effectiveness, efficiency and fun its delivery. 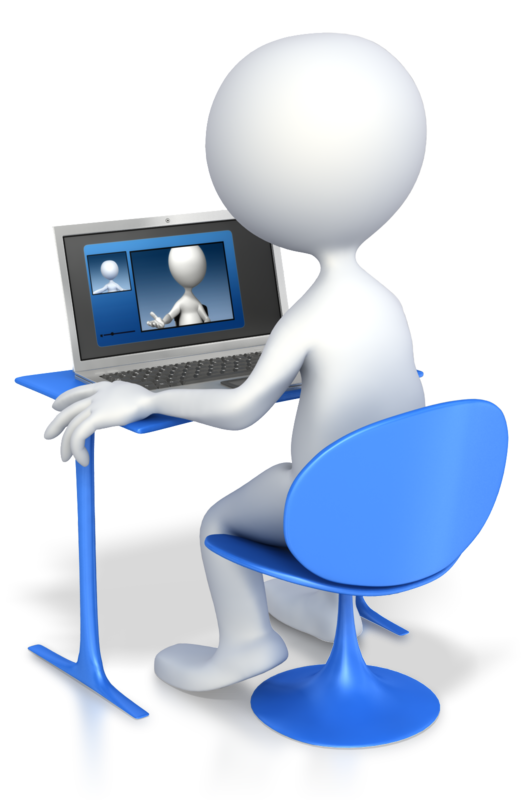 First, I will discuss the “GET THE EDGE” job intro-interview webcast program. Its use of video, computer-cataloging and webcast technologies have enabled the public employment service/job matching system to go to a whole new level. Then I will highlight an online JOB HUNT CLUB webcast opportunity. Again, through the combined use of available low-cost technologies, the result is high public service reach and impact. The “GET THE EDGE” job intro-interview webcast program was born out of the need to interact effectively and efficiently with area employers regarding their hiring needs. The local workforce development agency who piloted the program was having a difficult time commuting to businesses in their rural four-county region. They were missing many opportunities to share quality job candidates with employers. This challenge expanded as the need to share other business development opportunities in a more timely and professional manner grew. The answer? Let’s try a live job interview webcast and design it to follow a “Shark Tank” interview format with time and candidate limitations. The greatest challenge for building the “GET THE EDGE” program was assembling the right team of creative people. A webcast producer/videographer, a versatile interviewer and an off screen scheduler/computer system manager (for incoming employer requests for resumes and candidate questions) were the principle group required. It all sounds complicated…but it was not! The unique, technological qualities of the initiative were enough to draw in the right professionals, at the right time. “Interview” 30 candidates while sitting at your desk (maybe even doing other work). Have the chance to pre-screen qualified candidates for an eventual face-to-face interview. Have a chance to share the EDGE interviews with co-workers in light of their archive status. Interview with multiple employers without driving miles. Have your resume electronically distributed to many employers across the region. Have the opportunity to have your interview recorded on a flash drive for portable use. The second unique workforce development/labor exchange program piloted using technology was a live video webcast called the “JOB HUNT CLUB.” The intent of this program was to have a monthly webcast of job hunting tips, announcements for “who’s hiring,” special interviews with local employers and suggestions of where to go and who to talk to for real-time, face-to-face job seeking advice. A pair of innovation-minded agency staff members was assigned the task of building, producing and serving as the regular “hosts” for the “JOB HUNT CLUB.” One of the major advantages of offering the CLUB was its transportable design. All that was needed to deliver the live webcast was a reliable Internet connection, a good video camera, comfortable furniture and lively conversation. Given the open structure of the program, it was very difficult to measure appropriately its public service impact. First, the agency was not able to “count” viewers during the webcast or those who viewed it later in lieu of its archived status. Second, although the webcasts were always offered from a public venue where local citizens could attend and participate, counting actual attendees was not a major factor. Finally, the program did not have a solid marketing plan based on its pilot status. The agency gained status as a pioneer in the use of technology in the workforce development arena. Agency staff began a journey of understanding how technology can make a fun contribution to public service delivery. The program had no geographic limitations based on its Internet/webcast delivery. The “JOB HUNT CLUB” had no program design, service or location limitations. Finally, the webcast was an “interchangeable parts” opportunity for all staff to contribute their personal employment development strengths. I hope that all public servants regularly take the time to exercise their creativity and identify ways to put techno-fun into program delivery. Author: Marvin N. Pichla, Ph.D is owner and creative advisor of Inspiring Innovations, Inc. Sharing his unique entrepreneurship and innovation in public service experience, Marv consults with public and private business, education, and community organizations to develop new and different problem solving methods through real-life example-based learning. Email:[email protected]. Pingback: TRIPLE III TIME: Putting Techno-Fun in Public Service | Inspiring Innovations, Inc.